Classroom Wednesdays: For the Record! Remember records? Well, this project is just too cool for school! 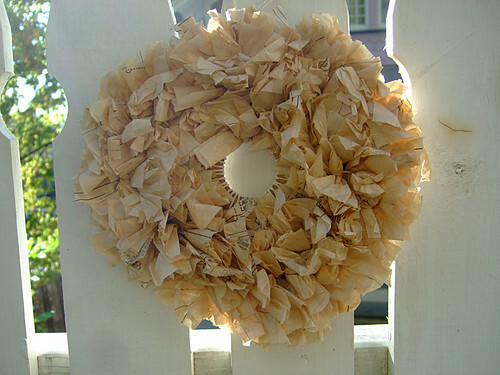 Head on over to Annekata’s blog to see how she made this great fall wreath by recycling an album. You just gotta love it. See the tutorial here. Classroom Wednesdays: Post It Up! 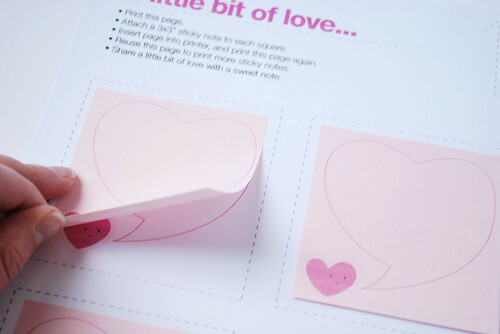 I love Post Its. In fact, I consider myself the Queen of Post Its because I have so many. I thought this idea from Molly at Wild Olive is such a great way to personalize your Post It, especially if you into leaving cutesy little notes for your loved ones here and there. Now go spread some love by checking out the tutorial here. Classroom Wednesdays: Recycle that phonebook! It’s always nice to be “green” whenever we can and I think this funky pen holder takes the cake. It is made out of an old phonebook! Isn’t that a wicked idea? I tell ya, some people are so great at thinking out of the box! If you are intrigued and want to make one of your own, head over to Chica and Jo and see the tutorial here.